• I'll have a lot more on this next week in this space and on the podcast, but the Twins signed Rich Harden to a minor-league contract. • David Brown of Yahoo Sports created internet gold by ranking MLB's sexiest general managers and Terry Ryan fares better than you might expect. • Mark Willis designed soccer-style jerseys for the AL East teams and I'm really wishing he'd do the same for the AL Central so I could buy a Twins "kit." • Jeff Dubay returned to local radio this week as a guest co-host on 1500-ESPN and also did a very honest, compelling interview about his long road back with Steve Marsh of MSPMag.com. • Samantha Micelli was one of my original crushes, so it's hard to believe Alyssa Milano turned 40 years old this week. • Last week I mentioned the new NBC Sports/Yahoo Sports partnership and my longtime boss gave an interview laying out some of the details and plans. 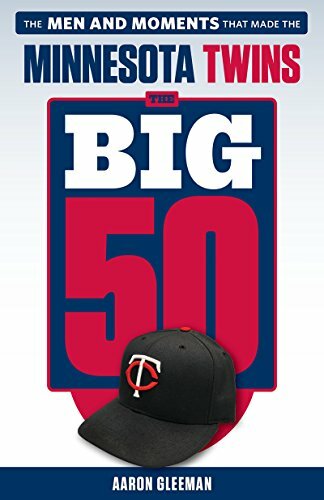 • As part of his 1500-ESPN radio show with Patrick Reusse changing time slots Phil Mackey will no longer be covering the Twins as a reporter, joining Joe Christensen of the Minneapolis Star Tribune and Ben Goessling of the St. Paul Pioneer Press in leaving the beat. • This is, without question, the craziest story of the week. • Wade Boggs has 3,010 hits and zero rhythm. 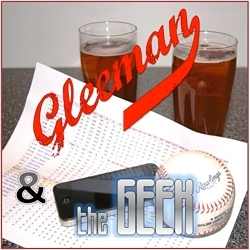 • This week's "Gleeman and the Geek" episode features lots of Kevin Correia talk and me breaking up with John Bonnes. Finally. And here's the story of what was said. • For all their talk about wanting more strikeout pitchers the Twins keep signing pitchers who don't get any strikeouts. • Brian McTaggart of MLB.com wrote a nice profile of Kevin Goldstein, who recently went from Baseball Prospectus writer to Astros pro scouting coordinator. • Chubby is always funnier than ripped, but Chris Pratt's transformation was pretty amazing. • It turns out the only thing keeping me from becoming one of Hollywood's most successful leading men is that I'm way too tall. • As a big "30 Rock" fan this makes me sad. • There's a reason why Peter Gammons is a Hall of Famer. • Chris Hardwick has turned his "Nerdist" podcast into a television show, so it's only a matter of time before we do the same with "Gleeman and The Geek." • Where does Trevor Plouffe fit into the Twins' short- and long-term plans? • Rob Trump of The Classical put together an amusing history of the now-defunct blog "Fire Joe Morgan" and the hilarious, surprisingly famous people behind it. Twins fans generally seem less guilty of that than Vikings fans, for whatever that's worth. • My family apparently knows me pretty well, because I got this as a Hanukkah present. • Bill Baer of ESPN.com wrote a good article about Joe Mauer from a non-Minnesota point of view, although as always I'd advise against venturing into the comments section. • Former No. 1 overall pick Matt Bush will be in prison until 2016. • "Sleepwalk With Me" is now on Netflix instant and really enjoyable, especially if you're into stand-up comedy. • On a related note, adding foreign movies to my Netflix queue is my version of a drunk dial. • Speaking of which, I really enjoyed the Norwegian movie "Headhunters" on Netflix instant and apparently an American version is in the works. - "Ricky Rubio neck tattoo"
- "Jeff Kent family pictures"
- "Why did Plouffe cut his hair?" - "Value of Brian Harper autograph"
- "How much does Rene Rivera make?" - "I weigh 350 and I'm lazy"
- "Best elbow surgeon in Minnesota"
This week's blog content is sponsored by Paul Bennett, an Independent Certified Financial Planner Practitioner. Discover what he can do for you at PaulMBennett.com. And please support him for supporting AG.com. • This is a great New York Times correction: "An earlier version of this article misstated the name of Howard Stern's bulldog. It's Bianca, not Bernice." • Mila Kunis took a break from her Official Fantasy Girl of AG.com duties to save someone's life. • They told me to bring the stats, so I unleashed some sabermetrics (to the tune of Steely Dan) on KFAN with Paul Allen yesterday. You can listen to my entire appearance here. • Almost every supermodel claims to have been unattractive in high school, but based on their yearbook pictures almost every supermodel is lying. • Torii Hunter took a leave of absence from the Angels after his 17-year-old son was arrested and charged with sexual assault of a child following a months-long investigation. • Pulitzer Prize-winning journalist, great teacher, and awesome person Chris Ison was badly burned in a propane explosion, but thankfully is now recovering well. • Not since Brett Favre has a legend coming out of retirement been such a sad idea. On the other hand, maybe that's just the 12-year-old me who had the original version talking. • Last week's Gleeman and The Geek episode featured my mom's podcast/radio debut. Hilarity did not, as they say, ensue. And she claims to have been trying to sound like Lauren Bacall. Let me tell you something: That video somehow makes me miss the show even more. • On a related note, Coach Taylor's television daughter seems to be doing well post-FNL. • As always my MinnPost colleage David Brauer analyzing local radio ratings is a must-read. Among the interesting notes: KFAN has the No. 1 or No. 2 rated show among male listeners in every time slot. • On a related note, KFAN's overall ratings rank No. 9 among all sports stations in the country. • I look forward to running into Michelle Beadle at the NBC holiday party. Also, congrats on getting away from Colin Cowherd. • As an NBC homer I'm extra happy that they renewed Parks and Recreation, Community, 30 Rock, and the highly underrated Parenthood. • Once again, Penn State seems like a wonderful place to spend your college years. • Jon Hamm answering advice questions submitted by teenage girls is pretty great, and as usual when not dressed as Don Draper he's repping the St. Louis Cardinals. • Speaking of which, if John Slattery co-stars as Andrew McCutchen this movie will be great. • One of my favorite basketball writers, Zach Lowe of SI.com, writes about the return of vintage Kevin Garnett at age 36. • If you haven't been following the Sarah Phillips story, it's a weird one about fake identities, Twitter followers, ESPN, and gambling. I'm sad to see him go, because Guillen's tweets were pretty great, but he's basically right. • Who are the Twins considering with the No. 2 pick in next month's draft? I'm glad you asked. • Thing that makes me feel elderly: Kerry Wood is retiring. • David Letterman and Conan O'Brien get together to talk Jay Leno. • After hundreds of Link-O-Rama posts over the years I'm amazed this has never happened. • Chelsea Peretti might be my all-time favorite podcast guest regardless of the show, so not surprisingly she was great recently on Sklarbro Country and You Made It Weird. • Worlds colliding: Will Leitch was a guest on Julie Klausner's podcast to chat about Fargo. • It was fun while it lasted, but I certainly understand. 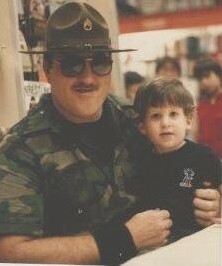 • Congrats to friend of AG.com and original baseball blogger Jay Jaffe for his new SI.com gig. • Drive is on Netflix streaming now, so I'm planning to re-watch it over and over again until I figure out why so many people loved it. • Car update: I bought a new Honda Fit on February 27 and it took me until May 9 for the little 10.6-gallon gas tank to be empty for the first time. I drove a total of 315 miles in 73 days. • If you're interested in advertising your product, service, business, or website on AG.com I'm taking "sponsor of the week" reservations through the All-Star break. Click here for details.